WE CARE ABOUT OUR CUSTOMERS, AND DO THE UTMOST TO ENSURE YOU FEEL CONFIDENT WHEN SHOPPING HERE. Shopping in the internet, sometimes gives the consumer unanswered questions. We will try to answer the FAQ here, so You; our valued customer can feel 100% confident, when purchasing direct from us. 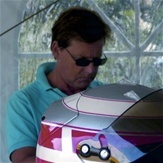 1) DMC DECALS was founded in 1982 by Nils Stottrup, and has been run as a personal owned production company since. 2) We are placed in Frederiksberg/Copenhagen-Denmark at the same adress for now 33 years. 3) Although we have a Q.C. we cannot guarantee 100%, that a defective decal won´t reach our customers. Therefore; if You are not satisfied with the quality of our products, we will replace it at no cost to You, or You can return it, and we will refund your costs including postage. 4) We have during times experienced, that unserious companies have copied our products, often in a poor printer quality. We are most gratefull if You report such "copycats" to us, and will reward You. But we cannot guarantee for these products. 5) We allways try to dispatch a payed for article as soon as possible, and aim to send the items within 3 working days, at the latest, after having recieved Your payment, as we have only 1 colleauge processing Your orders.